Nearly 50 years ago, Dr. Martin Luther King Jr. delivered a stirring speech on the steps of the Lincoln Memorial with the words “I have a dream.” Today, we’re sharing a new way to take part in this historic moment through a web experience developed by our friends at Organic and Unit9 for the National Park Foundation. Called “March on Washington,” the experience invites you to relive that moment in time by listening to an original recording of Dr. King’s words accompanied by immersive photography from the event itself. 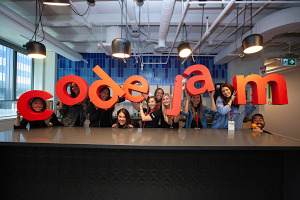 One of the most powerful abilities of the web is that it connects people from all over the world in new ways. In “March on Washington,” you can also virtually join this historic event by recording yourself reciting Dr. King’s words. Then, you can play back other participants’ recordings as a crowd-sourced narrative of voices, hearing the timeless message repeated back from people all over the world. 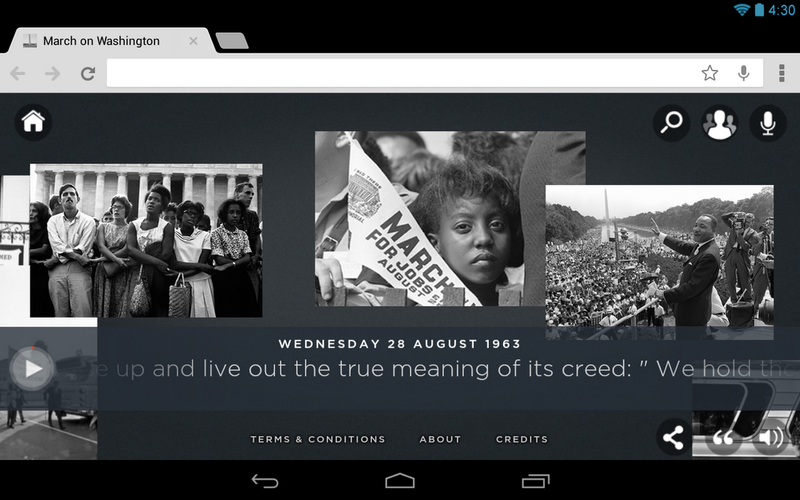 We’re excited to see the modern web enable experiences like “March on Washington” that bring together people and history in new, powerful ways. Head over to wearestillmarching.com on a laptop, phone or tablet to check it out.